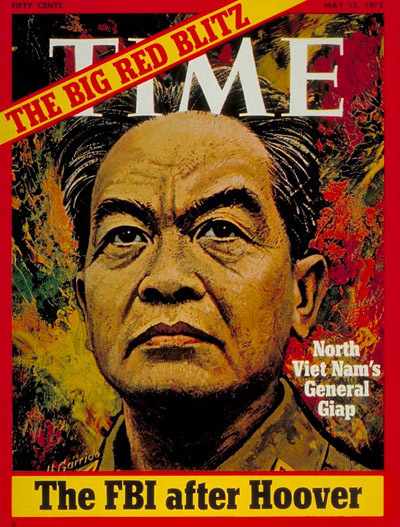 Today is the 100th birthday of legendary General Vo Nguyen Giap, Commander-in-Chief of Vietnam People’s Army during the Battle of Dien Bien Phu and the Vietnam War. There were two incidents that have had strong influences on the media world: the WikiLeaks publishing the US top secret documents last year and the Murdoch phone hacking scandal this year. From an observational angle, it could be argued that the subsequent developments of these occurrences were arguments over the power of journalists. It is also argued that the behaviour of Assange and Murdoch's journalists in these incidents resulted from the process of subjective self awareness of power which could not be anticipated by dominant and ethical institutions in society. This understanding refers to some ideas of Foucault, and realism philosophers of human nature. 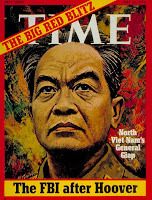 This paper thus approaches the journalist, as the subject of journalism, from the realistic perspective of human nature, typified by Machiavelli, and Foucault's theory of the nature of power, in an attempt to identify the nature of the journalist in social structures. In the latter part, this assignment applies theoretical understanding to explain the Murdoch and WikiLeaks incidents as a practical approach to the human nature of journalists. BBC News Magazine yesterday put forward some arguments to explain the riots across the cities in the UK. Among the theories to understand the causes of the riots, the concept of " welfare dependence" presented an interesting discussion. There is now 'silence' in the mainstream publications over the Murdoch scandal except for the latest developments from the ongoing inquiry. There has been no more reportage, analyses or comments about the so-called "tabloid empire being threatened" or criticism of the tabloid culture or "the madness of the moguls" as in the first week of the scandal. Are they probably waiting for the clearer decision from the inquiry or is the story no longer 'hot'? It is by no means that a wrong thing or an unethical action needs to be judged with a proper count, however such a scandal has presented a pretext for criticism of Murdoch's empire in particular, and tabloid media in general. That would be unfair as it cannot equate the scandal with the tabloid identity.